I thought i could start a meditation thread. not sure if this is the right place to post and if there is another thread already started on the topic. i will post more. please join me if you have a daily mindfulness practice, or if you are interested in spiritual growth. my goal is to make this thread as a resources for people who are in withdrawal. mindfulness and being in the moment present, acceptance of our current experience has been crucial in my recovery. 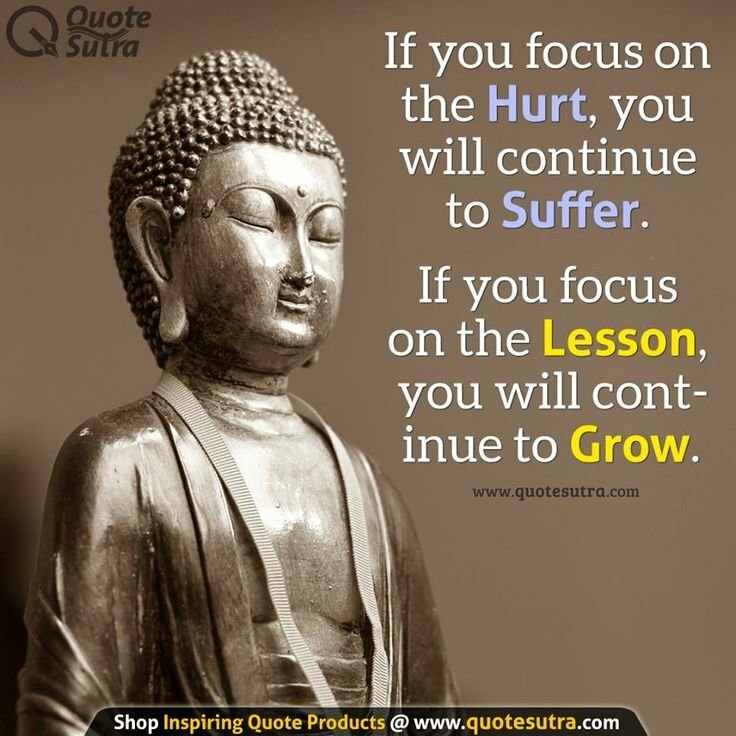 just a disclaimer, i am a buddhist, so everything i will post about my meditation practice (that has spanned over few years), will be referred from the point of view of the buddhist teachings. but i have great respect for other religions as well, as long as one's implementation of his religious belief helps him to be kinder and more compassionate. also, english is not my native language, so pardon my gramma in advance. why paying attention to our thought process is crucial. "if you take care of the minutes, the years will take care of themselves"
Hardwiring happiness by Dr. Rick Hanson, 13 minutes of valuable talk. A must watch! Having a mindfulness practice is probably the #1 tool in my belt for recovery! I has TM training when I was 15 but never stuck with it. Practiced mindfulness mediation for 11 months back in 2014 but let that lapse. Doing TM again (twice a day) since going off Celexa about a month ago. Shaky. 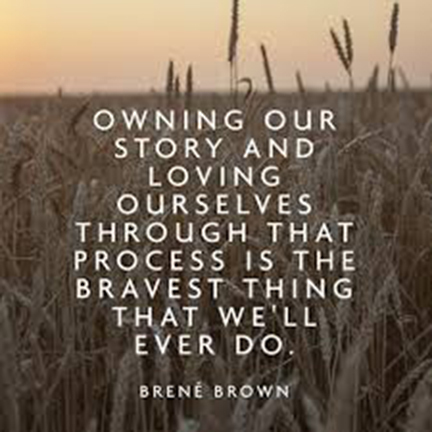 i also did DBT, it was really good for me. what has helped me is to combine mindfulness with intense cardio. the rage dissolves when i get very physical. it is very brave of you to meditate with all the rage. 11 months of mindfulness is pretty good! what is hard when you sit? I am on a 267 day meditation streak. I listen to Headspace app for a guided 20 minute sit and then I do another 20 minutes of just sitting after that. I sometimes feel the energy of my heart move and "open." I am not sure if it is my "heart opening" or not. I always expect it to end. I am not attached to it staying or coming back. I am wondering if it is my heart chakra opening. Sometimes I feel really light and airy all throughout my body when I sit. i find it hard to sit with the anxiety but if i give it 15mn, my mind settle down and i am okay. not great but okay. and okay is better than really bad in withdrawal. what i find more interesting is how i am able to notice where my thoughts are when i am not meditating. Yes, getting into the conversation on withdrawal is tempting because, to me, there is so much injustice to being put on meds. All the planning in the world can't make surprises in withdrawal from going away. For me, it is learning how to inhabit my body. Body scans from head to toe are part of the headspace app too. It took a while for me not to get annoyed with body scans, now I actually feel the relaxation that comes from body scans. I feel lucky to see that it takes a little while, but the mind will stop making things annoying. Having the feeling in my chest was annoying, but I am having the same reaction as the body scans. I get less annoyed and more relaxed as I let it happen. I hope the more I inhabit the body the more I will catch how withdrawal effects me before things spiral downward out of control. @VitaminB, the phenomena that you're experiencing is cool. It'll come and go over a lifetime of practice, it's actually quite important to just note and not try to label the experience. But in the spirit of discussion, when you practice, you relax your sense of self and it becomes more flexible. Compassion or a 'heart opening' can totally arise when you're less self centred. It's interesting to hold that experience in bare awareness and really taste it! I think I am getting the sensation in my heart because I am pushing my shoulders back and breathing into the top of my lungs. The tip top of the lungs don't get too much action from me because of my bad posture, but when I sit I pay attention to my posture. The mantra I think of is "inner peace, world peace." I had a Buddhist friend who always said he meditated for the benefit of all beings. Possibly, you may even be breathing a little too high. Do you want some suggestion for practice? So, I conceptualise practice with two 'streams' of practice - mindfulness and compassion / loving kindness. They should be developed hand-in-hand, but it's useful to have some basic mindfulness instruction before you do that. Congratulations.... hope your codes go to good use! i just finished a course of Transcendental Meditation. after doing mindfulness for several years, switching to TM makes a great difference. i would recommend this to anyone who is serious at establishing a regular meditation practice. the commitment is twice a day for 20 minutes. you also have the support of a teacher for life. i am also reading a book called Transcendence by Dr Rosenthal who recommends TM to his patients instead of medications. they teach it to veterans with PTSD, autistic children, people with dementia. it is really easy to do. it takes you into a profound state of relaxation of your nervous system. Why did you learn the Transcendental Meditation practice? DR. FRED TRAVIS: At the time I was working with a semi-professional theater group. We did summer stock on Cape Cod, Massachusetts, and then fall, winter and spring we would tour around the countryside. I was the stage manager – once we’d get to a place I was in charge of where the props would be, where the lights would go, where the entrances and exits would be. Some days it was really easy to do. It’s like I walked in and the whole plan was there; I just had to go through the steps. Other days it was like walking through mud. I really had this experience that there was more of ME available – a mind which is clear and a much broader grasp of the situation – at some times rather than others. That’s what propelled me to look at different meditations, because school doesn’t teach you to develop your inner potential. At school you learn skills and facts and ways to deal with problems, but they don’t really teach you how to deal with the knower himself or herself. So I went to a lecture on Transcendental Consciousness and they talked about using only part of your full potential. They talked about the mind having an active surface and a silent depth, and that we’re not taught how to use the silent depth of the mind. It just really fit with my experience. So I learned TM. Had you heard or read anything about meditation before? DR. FRED TRAVIS: I had read all the books that were out there on meditation. So, I had a sense that meditations are systematic procedures to develop and explore inner potential. I think what impressed me with TM is all the scientific research that had been conducted. They would describe quieter levels of the mind and body, and you could see changes in the brain and psychology – and that satisfied my intellect. When I learned Transcendental Meditation, I was completely hooked! It was really true: the mind has an active surface and it has a quiet depth. During TM, you can experience that and it’s broad and it’s expanded and it’s who you are. I was suddenly more me than I ever was before in my whole life. I was 22 when I learned TM, so it was just the time when I was trying to take control of who I was and where I was going. I learned TM at the perfect time in my life. One could say that TM practice turned your life 180 degrees—you moved from theater to neuroscience? DR. FRED TRAVIS: I had dropped out of school to join the theater group. After I learned TM I realized I should go back to school, so I did. I got a degree in design and environmental analysis at Cornell University. Also, during that time between dropping out of school and going back, I went on a teacher training course to become a teacher of the TM program. I went back to school at Cornell University, I was a TM teacher, and in between classes I would go and give talks in other classes about the TM program and how it related to creativity and psychology. My senior thesis was on the effect of TM practice on creativity. It was a matched group of Cornell undergraduates who came to the introductory lectures and some decided to learn and some did not. That was my first foray into science and that was extremely enlivening. I would grade all the creativity tests, blinded as to who were the meditators and who were not. I would see huge transitions in some students, and I wondered: Are these the TM people? They’re really seeing things differently; they’re just being more playful in their responses. And when we broke the code they did turn out to be in the TM group! In creativity problem-solving, you really appreciate what transcending does. Without transcending it is hard to think outside of the box. The “box” is the problem space. Without transcending, you’re stuck in the box, you’re stuck in the words and concepts and problems which are there and you don’t have the broad awareness to see outside of that. And when you transcend every day you step outside of that box; you step outside of time and space, outside of body sense, and you are just awake, you’re alert. And when you bring that quality of the mind back to whatever you are doing, you see the world completely differently. What’s the role of that increased creativity that Transcendental Meditation brings in being a good scientist? DR. FRED TRAVIS: Scientists have a stereotype of being very rational and cerebral, intellectual. But the reality is that science starts with a hunch. You collect data and then you have an insight – “I think this is what’s happening“. I tell my students that science is telling a story. But in science you get the plot line from nature and then you just fill it out. You have an idea, you design the research, and you collect the data. The actual findings define what the story is. That’s the huge challenge in science. Once you have the data you have to step back. There is something in science called theory-laden data. If you’re only look for what you expect to see, you’ll only find that. You have to step back and think: okay, what is actually there? In this process of in and out is where the true scientific discoveries begin. What has been the most exciting, surprising research finding? DR. FRED TRAVIS: I think what was the most startling and for me the most significant finding was that people master transcending during Transcendental Meditation practice very quickly. Because TM uses the natural tendency of the mind, individual practice, individual ability doesn’t make the process of transcending to go any better. I first saw this when I came back to be the director of the brain center (at Maharishi University of Management) in 1990 and started working on a brain integration report card. I had become aware of how the brain changes dramatically over the first 20 years of life. Between age 10 and 18 is the process of losing connections between brain cells – a process called pruning. A child has twice the number of brain connections than an adult does. It’s this high level of brain connections from 3-10 that allows them to learn language, rule-governed behavior, and socialization. At age 10 the process of pruning begins. Brain connections that have been used remain and connections that have not been used drop off. So I looked at our first year students, average age 19 who had just learned TM a few months earlier. I compared them with those students who had attended the Maharishi School and had been meditating since they were 10. This design compares students who had been transcending during this period of pruning to those who had not. Much to my surprise there was no difference in the EEG patterns during the TM practice itself – EEG patterns of someone who’s been meditating for a few months were similar to those who has been meditating for 8 years. I thought, “Wait a minute! This does not make sense!” Practice is supposed to make one better; experience is known to change the brain. I looked at the data for 3 months. I thought, “Oh, my mistake. Did I analyze the data correctly… I must have done something wrong.” And after 3 months, when the results would not go away, I had to accept that with TM practice you master transcending very quickly. Luckily I had 3 minutes of EEG data that I took to check the stability of the EEG. It was eyes-open EEG when students are just sitting quietly. I compared that for both groups and that’s where the difference was seen. In people who had been meditating for 8 or more years, the EEG patterns seen during TM were seen in their eyes open EEG. That was a whole picture for me! When we teach people to meditate we say that we transcend to locate the transcendental inner infinity and we act to bring it out. Because TM is effortless you’re getting to pure consciousness in the very beginning of your meditation career and the real marker of long term practice is how much you have brought out to the activity. As Maharishi used to say, we experience the goal in every step of the path. Even in the very beginning days of meditation, we’d sit, we’d close the eyes, and we’d experience the goal. In the beginning days the contrast between eyes open and TM practice is huge. Over time what happens is – and this is important for people who have been meditating for 10 years or 20 years – you are going to find that the contrast between the eyes open and meditating practice is less. You should look to your activity to watch growth of higher states of consciousness. So, I think that finding was the most significant for me. Something you did not want to accept at first? DR. FRED TRAVIS: (laughs) It didn’t make any sense to me! Actually this reality of the quick mastery of transcending, and the simplicity and immediate benefits of TM practice, makes it ideal for inclusion in an academic program. Here at Maharishi University of Management, students come in and if they have not learned meditation, they learn it in their first class. If it wasn’t an enjoyable experience they would not do it. But it is easy to learn and practical benefits start from the first meditation session. How else, besides giving a new direction to your career, has Transcendental Meditation practice changed your everyday life? DR. FRED TRAVIS: The change isn’t so much in terms of outer behavior. There’s a saying: Before enlightenment a man chops wood and carries water; after enlightenment he chops wood and carries water. Perception of the world is the same. We still through the eyes, and hear through the ears. What’s happening is the screen of the mind upon which everything falls is changed. Before you start mediating you’re really lost in the experience; whatever is going on completely determines that experience, whether it is good, or happy, or sad or successful. And the feeling from that experience you take with you. You’re really happy, then you see someone get hurt and now you’re really sad – so you’re a football to the environment. By moving your mind to the transcendent and back to waking over and over, the depth of inner silence begins to come into the world. It’s as though your level of awareness is going from being constrained by blinders to being broader and fully awake. Before, something would completely grip your awareness. Now you see it in context. You begin to less get lost in the experience. Now you are living the flow of life that underlies and connects changing events. As inner silence becomes lively at the depths of the mind, something else happens. An experience that before would be stressful, becomes just a challenge—it is an opportunity to see how effective you can be. In the brain there’s a difference between challenge and stress. Under challenge the brain stem activates the whole brain; under challenge you see more clearly, you hear more distinctly, the brain actually processes experience more quickly. With challenge you have lots of creative ideas, lots of mental energy, physical energy. When the challenge gets too high, the brain actually shuts itself off. The CEO, the frontal part of the brain which directs decision making, stops functioning and you focus on the back part of the brain which gives you the concrete present. So now you’re just lost in the details of the problem. What I think TM is doing is erasing that line between challenge and stress. You can take on increasingly more and more challenge without it becoming stressful. I think some of that is because you never have the perception that it’s too much, you never have the perception that this experience is going to overtake you. You just know that: oh this is really big, or yes I’m going to have to really focus on this, but you never feel like it’s bigger than you, like it’s going to eat you up! You know that you have the mental energy, the problem solving skills, to actually deal with what’s going on. You may have to go to the internet, tutorials, talk to experts, but you know that you can do it. And it’s interesting because it is not an affirmation that you have to remind yourself of in your head! It’s just how you feel, how you’re living your life. Life becomes a game. It is full of challenge that keeps you alert and moving forward. Every morning you wake up looking forward to what comes your way. It is how life should be lived. Thanks for posting this xyz its so ironic because I'm booked in to start my first session of TM this Sunday so this piece just helped to reaffirm that I was doing the right thing for myself at the moment particularly since it is a bit costly for the course. go for it, it is really worth it. i was hesitant myself, since i had already a strong meditation practice. but TM is really different in the sense that it works with your thoughts. i found it really simple, yet profound. they talk a lot about relaxing the nervous system, and that once we reduce the stress, we can see more clearly. and even have some spiritual experience. i felt the difference right away. Are there guided meditations with this I cant check out at first? Nice hearing you xyz. I for one am interested in discussing and applying vipashyana or mindfulness. It certainly heals. Most people plugging for TM are TM'rs. I would say all. Most of the studies done for TM are done by TM'rs. Again, I would say all. Most of the purpose of TM is to generate $$$ of fees for initiation, and $$$$ of fees for advanced programs, and all the $$ - $$,$$$ of "Vedic sciences" they sell. The machine continues on, in the wake of the Maharishi's death. Don't get me wrong, I did it for 10 years before I dropped my mantra. It's very effective for reaching a deep state of relaxation quickly. If however, you follow the TM program (20 minutes x twice a day) it will entrain you to the technique and leave you open and vulnerable to suggestion (see Richard Sutphen, "Battle for your Mind"). Once a day is fine for 20 minutes. Twice a day is fine at 10 minutes a session. 20 minutes max. It's all that's needed unless you plan on becoming a monk. I'm getting ready to teach a style of TM at the Senior Centre here. But I'm going to use NO guru, and use mantras like "Puppies" "kitten" "let go" "thank you" "pumpkin" and "Beauty," and the way I present (with a ringing Tibetan bowl and gift ceremony) will be just as effective as TM, which people pay $$$ and $$$$ for. No guru, no gods. Just puppies and kittens. My class will cost $4 for a 30 minute lesson. Keep this in mind when you think about paying for "initiation." (there are others willing to initiate you too, for less - but have the condition of "volunteer labour" for a number of years. I'd rather lose my decades to them, than to psych drugs - maybe that's what I should've done instead - or maybe I would've lost even more decades, as the trauma of shattering delusions with such a group might send me into the arms of psychiatry just to feel "normal" again.). You can, however strive to be Mindful all the time. Right now - what do you sense. Can you feel the air on your skin? Feel the air as it enters your nose? Feel your nose hairs accepting the air as you breathe in? Feel the coolness up in your sinuses? Feel your body expanding to accept the air? Feel your blood flowing? Hear - what do you hear? What does your tongue feel like in your mouth? If you close your eyes, it it just dark, or are there remnants of what you were just looking at? If you keep your eyes closed, does it stay dark? Or are there inner things to observe? What is that feeling? What part of your body does it arise from? What is the most comfortable part of your body? What is the most uncomfortable? Is there a feeling associated with that discomfort? What thoughts arise as you look at your uncomfortable parts. Can you breathe and make more room for them? Right now. Is a thought about right now? Then it is the past. Even by the time you have a thought it is the past. Stay in the now. Even if the thought is about the future, it is in the past by the time you think it. Stay in the now. 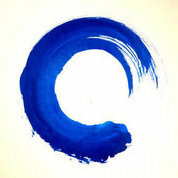 Read Tolle "Power of Now" to get more of a feel for this way of living. Because the next step is - WHO is observing ME? When you make these observations. When you can step back and observe, then you slow down and begin to have the ability to respond instead of react. He says it much better than I can. Read Tolle, if you want to cultivate a mindful life. Or Thich Nhat Hanh. I just learned about an app, called the Insight Timer. A colleague (hopefully to be a friend) of mine has uploaded a meditation there called "Resting in Soul Awareness" - his name is Kenn Day (you can use either as a search phrase in the Insight Timer). 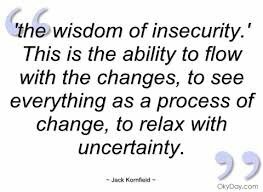 I recommend guided meditations by Jack Kornfield, as well. He's close to the Vipassana that someone here asked about. I use Sounds True a lot. They have a few freebies, but their prices are reasonable for what they offer (expanded awareness, new techniques, new perspectives).